The calendar aside, most people I know have one or two things that signal them the winter really is over. For some it’s digging their bike out of storage, or the sighting of the first crocus and cherry blossoms. 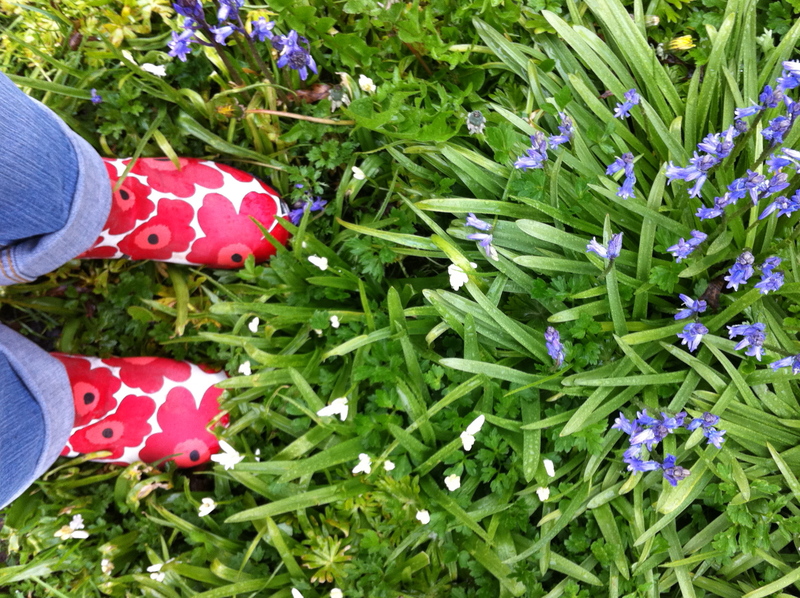 For others it’s putting on their muck boots and prepping the garden. Living on the west coast has changed my spring radar. The crocuses show up early and people ride bikes all year round. So how is a girl to know it’s really, truly spring? Looking back over the last few years it seems that my signal that winter is finally over is when I get to forage for nettles. Yes, it’s true. I know things are looking up when I get to pick and cook with a burning, evil, invasive weed. Nettles are a many faceted food. I first wrote about them here . Aside from being chock full of nutrients they have historically been used in holistic nutrition and medicine for everything from arthritis to allergies, coughs, pain, and as a diuretic. The best part about the humble nettle? If you’re willing to tromp around in the woods a bit, they’re free! Nettles are best when they are young, you want to pick them before they have gone to flower. That means depending where you live, nettle season may be over for the year. 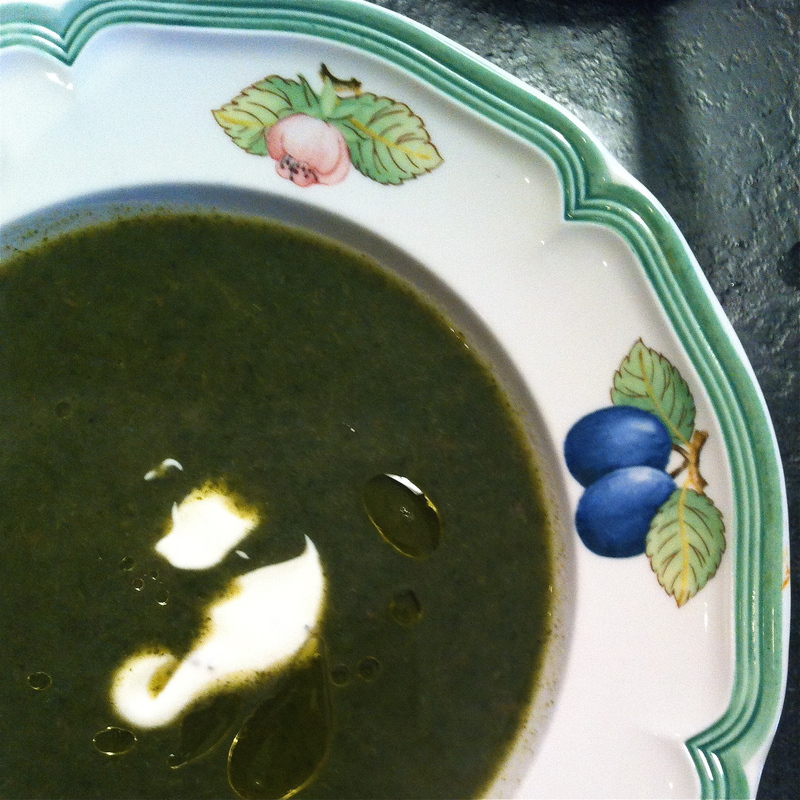 If that is the case, you can try this soup with sorrel or spinach. But if you can find them, this bright and refreshing soup will remind you that spring really and truly has arrived. 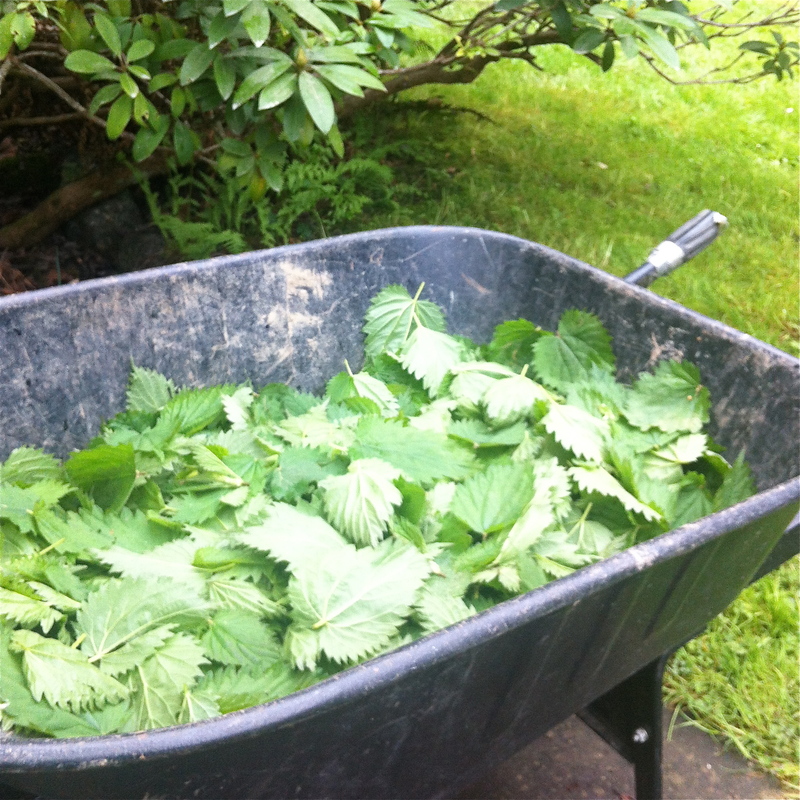 Putting on your rubber gloves place the fresh nettles in the sink and rinse with cold water until clean. In a large soup or stock pot pour the olive oil and then add the onions and yam. Saute gently until the onions are soft. Add the chopped nettles (don’t forget to wear your gloves!). Toss with the onions and yams. Add stock, water, and salt and let simmer for an hour. Blend soup either using an immersion blender. Continue to simmer. Add lemon or lime juice, freshly ground pepper and butter, and if using them cream or coconut milk. Do not let boil. Serve with a drizzle of high quality olive oil and spoonful of fresh sour cream or yogurt mixed with lemon. This entry was posted in Cooking, Food, Health, Recipe, Soup, Vegetables and tagged lemon, nettles, olive oil, onion, potato, spring, yam by mostlynoodles. Bookmark the permalink.